In leaked conversations, Jared Kushner, the son-in-law of United States President Donald Trump and his envoy to the Middle East, questioned the American administration’s ability to find a solution to the Israeli-Palestinian conflict. His statement came in July of this year, a century after the start of the dispute and the Balfour Declaration . “You know everyone finds an issue, that, ‘you have to understand what they did then,’ and ‘you have to understand that they did this.’” Kushner observed. “But how does that help us get peace?” The U.S. negotiator continued. “Let’s not focus on that. We don’t want a history lesson. We’ve read enough books. Let’s focus on how do you come up with a conclusion to the situation. On the one hand, Kushner’s approach dictates that settling the actual Israeli-Palestinian dispute is required more than anything else. This is something positive. 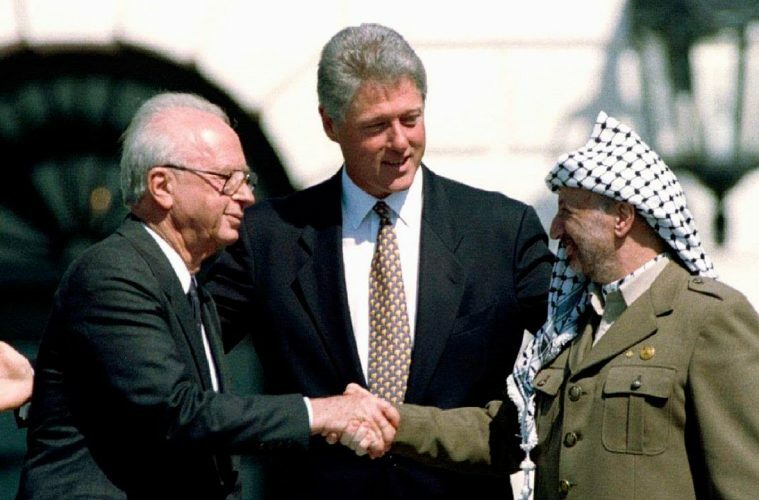 For over 100 years, we have heard that the conflict cannot be resolved by creating a common narrative that will form the basis for reconciliation between Jews and Arabs, Israelis and Palestinians. Each party retains a novel’s worth of legal, political and historical impact, all of which clashes with the other side’s narrative. The potential for resolving the conflict lies not in drafting a shared history, but in finding a compromise that is in line with the fundamental interests of the parties, such as those based on the criteria negotiated in Annapolis in 2008. Still, Kushner and others must understand that such a compromise cannot contradict the two sides’ accounts, and certainly must not ignore them altogether. These narratives serve public awareness and create the psychological conditions necessary to recognize the need to pay a painful price. Thus, the two narratives should be assigned an undefined presence with broad interpretation, but without practical implications. To this end, within his duties, Mr. Kushner should recognize and understand the special nature of the Israeli-Palestinian conflict and the distinctive solutions needed to resolve it. 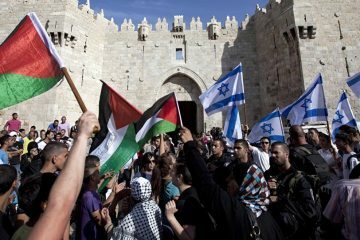 Every international conflict has its own advantages, but it seems that the Israeli-Palestinian conflict is unique in history after the Springtime of the Peoples. Its own nature has many varied elements that can explain both the conflict’s length and the many complexities required to settle them within the framework of a permanent agreement. The leaders of the movement understood that the way in which the Jewish people would embody their right to self-determination would be anomalous precisely because the 2,000 year-old Jewish tragedy was anomalous. They did not believe that their unique predicament reduced the moral justification for realizing this right. The Mandate Instrument for Palestine issued at the April 1920 San Remo Conference and adopted by the League of Nations in August 1922 stated that British control “should create in the country [Palestine] political, administrative and economic conditions that guarantee the establishment of the Jewish national homeland.” This statement is rather abnormal, and a special characteristic of the dispute. Under the leadership of United States President Woodrow Wilson, the principle of self-determination replaced the imperialist concept, determining that “the country belongs to its inhabitants and not to its occupiers.” While this principle was applied in most areas occupied by empires of the World War I era, the only place where it was not enforced was in Palestine. 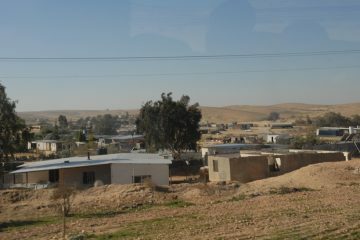 In 1947, the UN Special Committee on Palestine stated that “the principle of self-determination did not apply to Palestine when the Mandate was established in 1922 because of the aspiration to allow the establishment of a Jewish national homeland.” The Arabs, who at the time constituted 90 percent of the country’s population, had to be content with equal civil and religious rights in a state established for the Jewish diaspora. The demographic balance in the Land of Israel at the time of the Balfour Declaration and the Palestine Mandate was 9:1 in the interest of the Arabs and created an unprecedented challenge to the establishment of a Jewish democratic state. Unlike the typical process of establishing nations after the First World War, when the people, including minorities, remained in their places while new borders arose around them, the Jewish case presented a need to import people from the diaspora into Land of Israel. This is how Ze’ev Jabotinsky describes the problem in the Council of Israel in 1919: “In other countries, the place where all the people live in their country is simple. This is the principle; but not in our country, which is in this regard is the land of non-naturalism ” Its citizens are outside the borders of the country. ” Thus, the fact that the country desired by the Jewish people was not empty of a population. Jabotinsky continues, “Since 1891, I had stressed that we are accustomed to faith in the outside of the country, that the Land of Israel is now all desolate, but the truth is that there is no such thing.” There were people in the country, and the people of this country had different national aspirations than the aims of the Zionist movement. The borders of Mandatory Palestine as agreed upon at the end of 1922 were different from those discussed at the Versailles Peace Conference in February 1916. The delegates at Versailles presented the proposal of the Zionist Histadrut, which included parts of Lebanon, Syria, Jordan, and Egypt. That landmass would be about 45 thousand square kilometers in area. In the end, the future State of Israel’s political borders were set at about 27,000 square kilometers. As a result, the victorious superpowers Britain and France determined the boundaries of the territorial units adjacent to the Land of Israel. The Sinai Peninsula was given to Egypt on the basis of the administrative line of 1906. Transjordan (today’s Hashemite Kingdom of Jordan) was handed over to the Hashemite family, partially implemented by the British promise to Hussein ibn Ali in 1915. The line between Syria and Lebanon was decided on the basis of French national interests. Until the end of the nineteenth century, the Arab population did not use the name of Palestine to refer to their national territory. They saw themselves as belonging to Greater Syria, in the southern part of the region, which now includes Syria, Lebanon, Israel and Jordan. At the first Arab National Congress held in Jaffa in January 1919, the Arabs were assigned as part of Greater Syria. With the consolidation of the mandates at the San Remo Conference in April 1920, the Arab world exposed that Britain had no intention of carrying out its promises to Hussein Ben Ali about the establishment of the Kingdom of Arabia. France, which received the Mandate of Syria, expelled Faisal from his throne in Damascus in the Battle of Methallon in July 1920. These actions decimated the Pan-Arab dream and prompted the Arabs of the Land of Israel to solidify their political demands in Palestine. At the Third Arab National Congress, in December 1920, the Arabs of Palestine began to define themselves as the Arab Palestinian Executive Committee and asked for the formation of a government. At the Fourth National Congress, in May 1921, they were defined as the “Palestinian Arab people.” The national movement of Palestinian Arabs divided the Land of Israel quickly and culminated in the Arab Revolt in 1936 and in the formation of the Higher Arab Committee headed by Grand Mufti Haj Amin al-Husseini. Britain’s narrow enforcement of the Mandate Instrument issued by the San Remo Conference in the modern day countries of Israel and Jordan (about 130,000 square kilometers) provided to be another unique element of the conflict. Already, the Balfour Declaration of 1917 had promised to establish a national homeland for the Jews in Palestine. 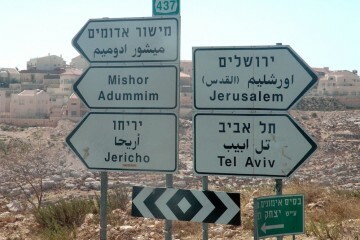 That is, in part of the Land of Israel, and not all of it. Later, after the French overthrew Faisal, Winston Churchill rushed to announce at the Cairo Conference in March 1921 the transfer of Transjordan (about 91,000 square kilometers) to Prince Abdullah (Faisal got Iraq). In order to ensure this legal-political decision, the first White Paper was published by Churchill in June 1922. After the adoption of the Mandate of Palestine at the League of Nations in August 1922, the Zionist movement accepted that month at the conference of Clerlsbad both the Mandate and the White Paper. “The current political situation exists under two important documents, the Mandate instrument and the White Paper of the British government… the White Paper, which the Zionist administration agreed upon after long and difficult consultations with the British government and with the High Commissioner and not with an easy heart,” Chaim Weizmann wrote at the time. Even Jabotinsky acknowledged this. 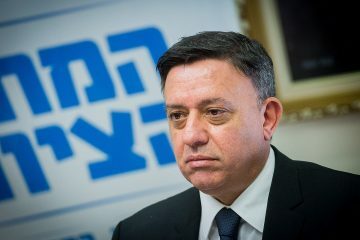 In response to press questions following his resignation from the Zionist Executive, stating that he was fully responsible for signing the Yishuv’s consent to the White Paper. In September 1922, the British Mandate was issued by the British High Commissioner for Palestine, Herbert Samuel, who removed the eastern part of Palestine from the Balfour Declaration’s purview and established the Emirate of Transjordan. In 1937, following the Arab Revolt that broke out a year prior, the Peel Commission published its recommendation for the partition of Palestine, declaring that “this is a struggle between two national movements whose demands are effective and cannot be reconciled between the demands of one another.” The proposal to implement the Balfour Declaration was once again reduced to about 17 percent of the country’s area between the river and the sea. It should be noted that the rest of the land, with the exception of Jerusalem and Riwaq to Jaffa, remains under the control of the Mandate, for Prince Abdullah, not for an independent Palestinian state. The British, who despaired to resolve the differences between the two peoples in the country, did not eventually implement the Mandate instrument and did not establish a national homeland for the Jewish people in the Land of Israel. In February 1947, after deliberations on the future of the Land of Israel in London, Ben-Gurion sent a letter to British Foreign Secretary Ernest Bowen, calling for partition and the establishment of two independent states: “The only possible immediate arrangement, the basis of which is the completion of two states, one Jewish and one Arab, “he wrote. 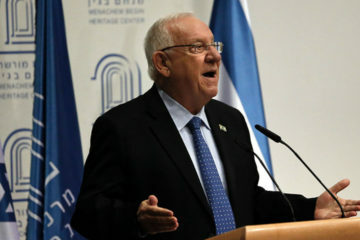 The decision not to declare borders was a conscious choice for the Government of Israel, as Ben-Gurion described it to the People’s Council in May 1948. “We decided to evade this issue for a simple reason: if the United Nations implements its decision, we will respect all decisions. So far the United Nations has not done so… and therefore everything is not necessary and we have kept this issue open.” The border issue was left open to future development. As a rule, the international community treats the armistice lines of 1949 as the recognized borders of Israel. These boundaries are often called the Green Line or the June 1967 lines. It grants Israel 78 percent of former Mandate Palestine. With the end of the War of Independence, the minister of defense published decrees, applying Israeli law, administration and judicial power to the land occupied beyond the borders of the partition resolution. 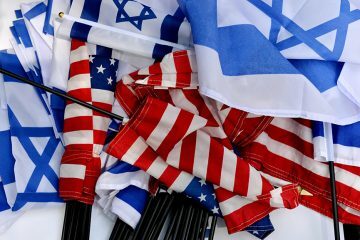 Despite the article in the Charter of the United Nations, which prohibits the acquisition of land by force, Security Council resolution 242 of November 1967 granted a de facto recognition of Israel’s territorial gains from the War of Independence. 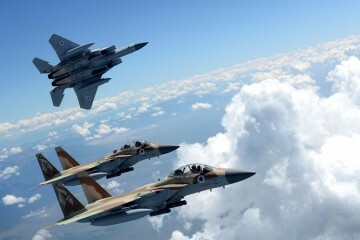 The resolution called for the withdrawal of Israel’s armed forces only from the territories occupied in the Six-Day War, and thus, without any agreement, recognized Israel’s sovereignty over land outside the partition areas. 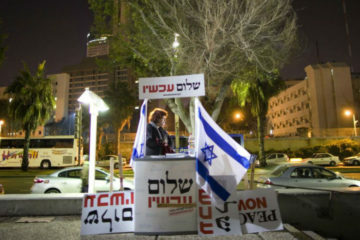 This decision was formally made in the advisory opinion of the International Court in The Hague in June 2004 when judges pointed out that the West Bank and Gaza Strip are the only occupied territories at play in the Israeli-Palestinian dispute. This declaration was once again formally endorsed by the United Nations General Assembly when 138 countries voted to accept Palestine within the 1967 borders as an observer state. Another special feature of the conflict relates to the fact that Israel, despite its power, still places the issue of security as a central factor in the implementation of the two-state solution. Israel’s demands a future Palestinian state be demilitarized, lacking a regular army and heavy weapons. 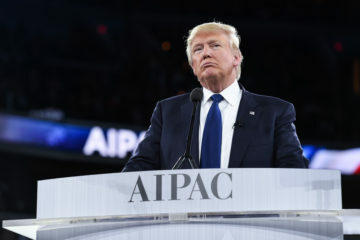 Further, Israel insists that Palestine be prohibited from entering into military alliances with other countries and expects international forces to be present in Palestinian territory as a guarantee on security. The demand on the part of the Palestinians to realize the right of return in the State of Israel, even if symbolically, is a special issue at the heart of the Arab narrative. A solution to the refugee question which allows displaced persons and their descendants to return to the State of Palestine (established in the current occupied territories) is not acceptable to some. In an unprecedented way, they want to return specifically to Israel and not to their state. For their part, to return to their villages even if they were in another country and even if they could return to their homeland and country. A new and important feature of negotiations is the demand that the Palestinians recognize Israel as a Jewish state, the national state of the Jewish people. 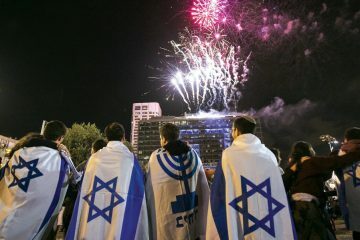 Israel is the only country that demands recognition of its identity, not just its sovereignty. 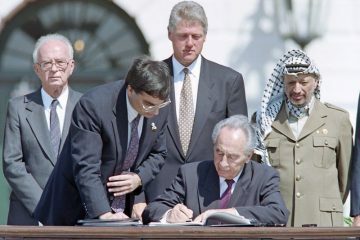 The recognition by the PLO of Resolution 181 of November 1988, the State of Israel’s right to exist within recognized and secure borders in accordance with UN Security Council Resolutions 242 and 338, as in 1993 does not satisfy Israel. Each party’s willingness to compromise stems from the understanding that its ability to achieve its intrinsic national interest also involves the other party’s interest. Recognition of this fact by Israelis and Palestinians is necessary to reach an agreement. 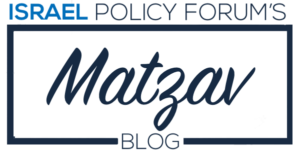 Each of the four core (borders, security, Jerusalem, and refugees) issues requires flexibility and creativity to address the tension between the positions of the parties. The Palestinian position on the first three entails an Israeli withdrawal to the 1967 lines in accordance with UN Security Council Resolution 242. For the Palestinians, this is a compromise in exchange for ceding the quest to “take back” 100 percent of historic Palestine. The Israeli security perspective focuses on instability in the broader Middle East region and the fact that the West Bank dominates the Israeli coastal plain, leaving Israel without strategic depth. Israel has maneuvered around this with demands for the absence of a Palestinian army in the Palestinian state. 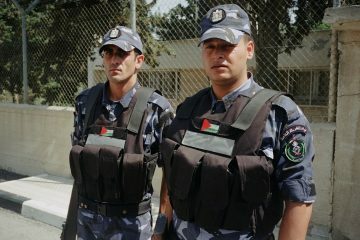 Should Palestine accept demilitarization, they would join Costa Rica as the second country to renounce the right to armed forces under international law. On the subject of borders, Israel wants to avoid having to evacuate the 600,000 Jewish settlers living east of the Green Line. A possible way around this is land exchange. On the question of Jerusalem, Israel’s interest is concentrated on holy sites. 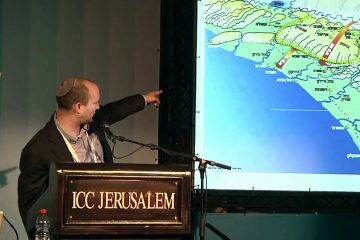 Here two solutions are presented: First, the division of sovereignty along the Wailing Wall, the Jewish Quarter, half the Armenian Quarter, and the rest of Mount Zion. The other offers internationalization of the historic basin by a multilateral administration and bilateral arrangements between Israel and Palestine. 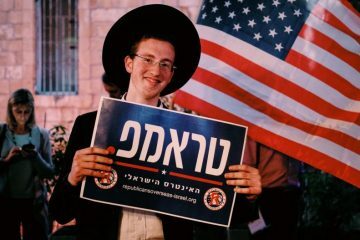 The refugee issue is experiencing an emerging tension between a refugee’s personal right and a demographic threat to Jewish identity in the State of Israel. The absorption of refugees in the State of Palestine is a possible solution to this issue. Knowing each of these aspects of the conflict and the proposed solutions can relieve mediators, American or otherwise, of unnecessary failure and frustration and spare the parties another round of violence. Third-party intermediaries like the United States must ensure a clear and detailed framework for the conduct of negotiations, but o give room for both narratives and a self-sense of fairness and integrity in the agreement. This mixture can ensure the parties’ commitment to talks, as well as signing and implementing an accord and working with determination on its stability. This article was originally published in the Hebrew edition of Ha’aretz. It is re-published here with permission from the author. Col. (Ret.) 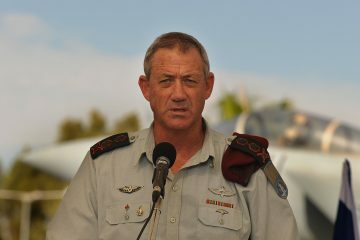 Shaul Arieli, a Senior Advisor at ECF and member of the Steering Committee of Commanders for Israel's Security, is one of Israel’s foremost experts on the Israeli-Palestinian conflict. He served as an advisor to four Israeli Prime Ministers and holds a PhD from the University of Haifa. He is also an author of a number of books about the Israeli-Palestinian conflict, including 'Peoples and Borders'. What Type of Utopia Will Israel Be?